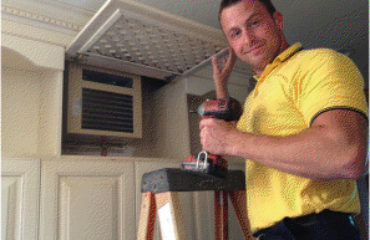 Choosing a good heating and air technician can be equally important as the equipment you are installing or repairing. Experienced technicians are trained to properly install and maintain your equipment in a safe and reliable manner. Here are few tips to consider when choosing the right HVAC contractor for you. Ask your friends and family. The most valuable referrals come from those we know and trust. Be sure to call your circle and ask questions about their HVAC contractor taking notes on different points such as price, customer service, experience, scope of knowledge to name a few. Check reviews. Very similar to the above, reviews are a valuable source of recommended contractors. Google and Angie’s List are a good place to start for trusted referrals. Check references. When you get in touch with potential service providers, ask for references. Due to improper sizing of HVAC systems relative to the size of the home years ago, contractors should not base the size of your new system on the size of your home. Better technicians will make proper assessments to ensure the correct sizing of your equipment. Be wary of estimates given over the phone. An accurate estimate can only be given when a technician is able to come and asses the situation and determine the best plan of action. A good technician will interview you to understand your current heating and cooling problems so that they can offer you the best solutions that will fit your needs in a cost and energy efficient way. Passion Heating and Air is a Charleston SC HVAC company with a focus on providing exceptional customer service and competitive prices. We welcome you to contact us with any questions you might have regarding your heating and cooling needs no matter where in the world you are.